ASP.NET security module evolved time to time. First in 2005, Microsoft introduced ASP.Net Membership which is used to authenticate users using Forms authentication and the user names, password etc. stored in the SQL Server database. There were few limitations with this framework as the database schema was designed for SQL Server only and you cannot change it. Secondly, if you wanted to extend some more properties related to profile information etc. you have to create separate tables. Another limitation is OWIN. Since the authentication is based on Forms Authentication, the membership cannot use OWIN. What is OWIN: OWIN includes middleware components for authentication that supports to log in users from external authentication namely Microsoft Accounts, Facebook, and Twitter etc. OWIN also includes support for OAuth 2.0, JWT and CORS. Today, everyone maintains social network accounts like Twitter, Facebook, etc. and people most likely prefer to login or linking applications with these accounts rather creating new ones. Keeping all these limitations Microsoft developed another framework “ASP.Net Identity” that does not only supports OWIN but more or less the extension and customizing of the authentication module is far easy and practical as compared to the ASP.Net Membership framework. ASP.Net Identity is a new membership framework to provide user logins and security in web applications. It allows adding login features in web application and also easily customizable to extend the user information. When you create new users in your application, it is now easy to add extra information about the user. For eg.. if you wanted to add a Birthdate option for users when they Register an account in your application. ASP.NET Identity uses Entity Framework Code First and it is possible to extend the POCO classes. By default the ASP.NET Identity system will store all the user information in a database. ASP.NET Identity uses Entity Framework Code First to implement all of its persistence mechanism. If your application requirements are that this information might be stored in a different storage mechanism such as SharePoint, Azure Table Service, No Sql databases etc. it is now possible to plug in different storage providers. There is a Simple Role provider which lets you restrict access to parts of your application by Roles. You can easily create Roles such as “Admin” and add Users to Roles. You can easily add external logins such as Microsoft Account, Facebook, Twitter and Google to your application store the user specific data in your application using this system. You can also add login functionality using Windows Azure Active Directory and store the user specific data in your application using this system. This package has the Entity Framework implementation of ASP.NET Identity which will persist the ASP.NET Identity data and schema to SQL Server. This package has the core interfaces for ASP.NET Identity. 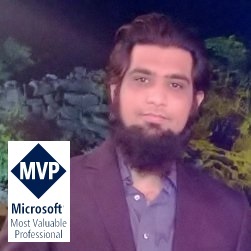 This package can be used to write an implementation for ASP.NET Identity that targets different persistence stores such as Azure Table Storage, NoSQL databases etc. This package contains functionality that is used to plug in OWIN authentication with ASP.NET Identity in ASP.NET applications. This is used when you add log in functionality to your application and call into OWIN Cookie Authentication middleware to generate a cookie. Usually mid – large sized web applications are divided into different layers i.e. Presentation, Service, Business, Data Access etc. and usually models resides on the common layer which can be used by data access, service and presentation layers. When designing the architecture of web application and implementing security we have to follow the basic style of placing code in specific layers otherwise the code become shambolic. In ASP.Net Identity, as the models are related to ASP.Net identity framework resides in Microsoft.AspNet.Identity.EntityFramework and with the help of Code First entity framework we can easily provide the association with other entities where needed. 1. Open Visual Studio 2013 and create a new Web application project and select MVC template. If you create a web application project using Visual Studio 2013 you will automatically get these three assemblies referenced by default. 4. UserManager is basically the entry point for performing signing operations, it takes UserStore as a parameter which is implemented by IUserLoginStore, IUserRoleStore, IUserClaimStore, IUserStore etc to provide repositories for user-related data such as user data, passwords, claims, roles etc. UserStore takes a DbContext as parameter and have the implementation details of how the particular User is stored. If you notice the ApplicationDbContext it is derived from IdentityDbContext and not the standard DbContext class this is because the IdentityDbContext is specific to the ASP .NET Identity framework and it allows entities to have String as a primary key. 5. Let’s generate a database from Identity framework entities using entity framework code first approach. a. In the visual studio, open Package Manager Console and select your web project as the startup project. In case if you have different layer for data access components you can select that specific layer and add the references to the ASP .NET Identity framework libraries via Nuget. b. Execute command enable-migration, that creates a Migration folder and create a Configuration class. Note: you can also enable the automatic migration by settings its AutomaticMigrationsEnabled property to true in the configuration class constructor. f. It creates a class with two methods Up() and Down(), Up will be called to sync the changes from code first model to the database, and Down can be used to revert changes back to last state. g. Now execute update-database command so the new database and identity tables will be created. 6. We can also create custom tables by adding DbSet properties for new tables in the ApplicationDbContext class and customize it according to our need. d. Follow the same steps as above to migrate model changes into database. e. When we run the migration using add-migration and update-database commands it will create another table named as View in the SecurityTestDB and defines one to many relationship between ASPNetRoles and RolePermission table and View and RolePermission table. 8. Now let suppose we need to add more fields in the AspNetUsers or any other identities table we can customize it by adding a new class inheriting from Identity* class and specify new properties. With the power of Entity Framework and new Identity framework its quite easy now to customize security framework according to our need. The beauty is that the core classes remain intact and it doesn’t harm the underlying logic of the authentication mechanism provided by Microsoft.